Blast from the Past: Top 10 posts of 2012! According to the total views received per post, I have selected my top 10 posts (out of 27) and linked them below. If you have missed them, please do check them out!!. Do comment too because that makes me soo happy and I love any kind of feedback! 10) Review: Chocomania body butter from The Body Shop! comes in 10th place with a total of 84 views. 9) TLC for your lips… comes in 9th place with a total of 89 views. 8) Giordano Travel Trolley bag… comes in 8th place with a total of 103 views. 7) Dubai Shopping Festival and Global Village.. comes in 7th place with a total of 105 views. 6) Review: Sweet Body Moisture Balm with Avocado from The Face Shop.. comes in 6th place with 110 views. 5) The new bread in town! comes in 5th place with 118 views. 4) Revlon lipbutter in UAE.. Finally! Review and swatches… comes in 4th place with a total of 134 views. 3) Birthday giveaway! comes in 3rd place with a total of 154 views. 2) Review: Make Up For Ever Liquid Lift foundation.. comes in 2nd place with a total of 285 views. And now for the WINNING post!.. Guess which one! 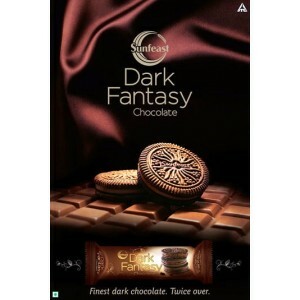 1) Review : Sunfeast Dark Fantasy chocolate biscuit.. comes in the prestigious 1st place with a total of 499 views!! You guys wouldn’t believe how MANY people search for posts on these biscuits. I can see all the search terms that leads to each post, so nearly EVERYDAY people search for this fantastic Sunfeast biscuits. It’s almost unreal!. When I wrote this post, I never thought it would be my TOP post of 2012! Am so looking forward to writing more in 2013!